The Only Birds That Can Fly Backwards Are? When it comes to sales in a diverse market, advertisers leave no stone unturned in pursuit of an edge. On top of pleasing lighting and presentation in advertisements, they also enlist time itself to help sell the watch. If you have a keen eye for details, then you may have noticed that the watch and clock faces in advertisements are always set to 10:10. While there are quite a few urban legends floating around about this particular choice of time—such as that it is intended to commemorate the time of death of former U.S. president John F. Kennedy—the truth is it has nothing to do with historical figures and everything to do with the human brain’s penchant for abstraction and symbolism. When the hands of an analog watch face are set to different times, the hour and minute hand create simple shapes. Of all the potential times a watch face can display, advertisers have found that people respond most positively to images of watch/clock faces set at 10:10. The response has nothing to do with the actual time, but with the arrangement of the hands themselves—10:10 is as close to a smile shape as a watch face is capable of displaying and has a very pleasing symmetry. However subtle it might be, shoppers prefer a watch that smiles at them. 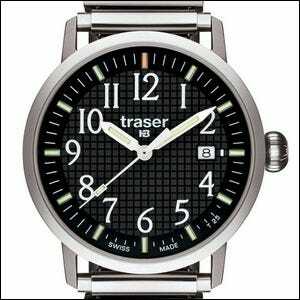 Setting the time at 10:10 also helps frame the manufacturer’s logo or emblem, which is often placed right below the 12. Advertising tricks aren’t limited to just analog displays. For digital clocks, there’s an advertising rule of thumb too. You can’t arrange a digital display to subtly evoke a smiling face, but you can arrange the numbers so that they evoke positive feelings. People respond positively to numbers of increasing size and negatively to numbers of decreasing size. As a result, you’ll frequently see advertisements for digital alarm clocks and such with a display readout of 12:38, 12:48, etc. Why the 8? Again, consumer research indicates that there is a certain appeal to a glowing display that ends with a nice full figure 8.